Working throughout Uckfield and the surrounding areas, we specialise in the provision of reliable and effective painting, decorating and property maintenance services at very affordable and competitive prices. During our 18 years in the industry, we have completed a wide variety of painting and decorating projects for both homeowners and commercial businesses in the area. We provide a comprehensive range of painting and decorating services that includes everything from interior and exterior painting to plastering, coving, dry lining and decorating. We can also help with plumbing and electrical systems in homes, offices, schools and retail sites too. We have a vastly experienced and highly qualified team of Part P and Gas Safe certified electricians and plumbers who have worked on every plumbing, heating and electrical system imaginable. We also provide peace of mind too. If your Uckfield property has suffered criminal, fire, water or smoke damage we will paint and decorate the affected area for you and then deal with your insurance company directly. If you live or work in Uckfield, then you will be pleased to know that we provide our high quality painting, decorating and property maintenance services throughout the area. 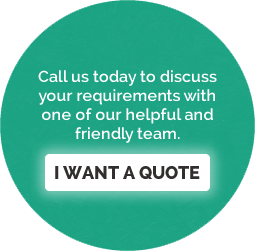 Contact us today to discuss your requirements with one of our helpful and friendly team.